This story appears in the Winter 2017 issue of Sports Spectrum Magazine. 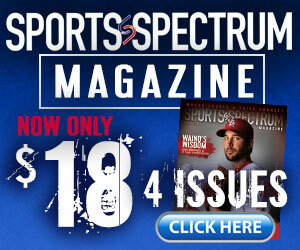 For more in-depth feature stories like this, subscribe to our quarterly magazine for only $18. The hype leading up to the 2017 NBA Finals was unprecedented. Never before had two teams met in three straight championship rounds. 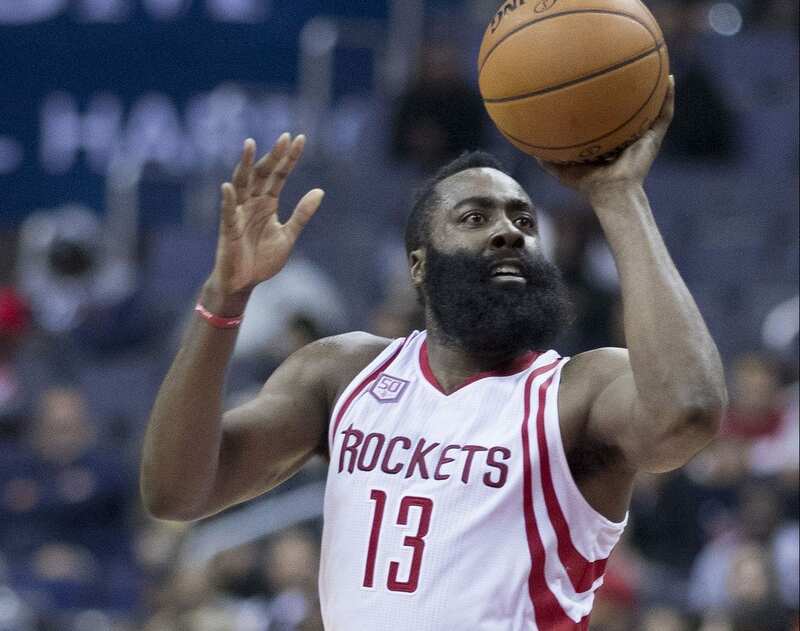 Never before had a team entered the Finals without dropping a postseason game — and the other squad had only lost once. Golden State Warriors vs. Cleveland Cavaliers, Round 3, was set to be another intense battle featuring the NBA’s biggest stars. An hour before the rivals took the court at Oracle Arena in Oakland for Game 1, however, some key players from both teams came together. They met in a pre-disclosed location, out of view from any fans or media. And they came together not to talk, but to listen. To learn. To think. To pray. Members of the Cavs and Warriors met for chapel. It’s a regular routine for numerous players around the league — stretch, shoot, chapel. It didn’t matter that they were about to face off in the most-anticipated game of the season. 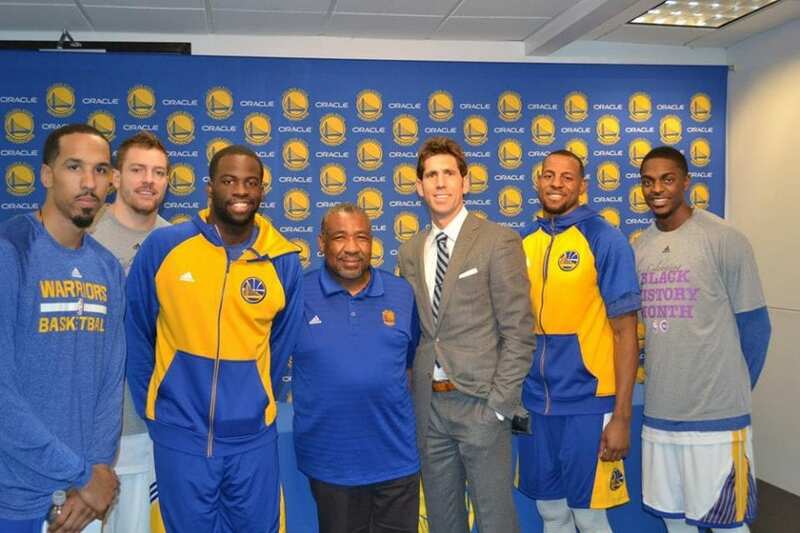 Warriors chaplain Earl Smith with members of the team (photo courtesy of Earl Smith). This wasn’t a new occurrence or one-time thing. 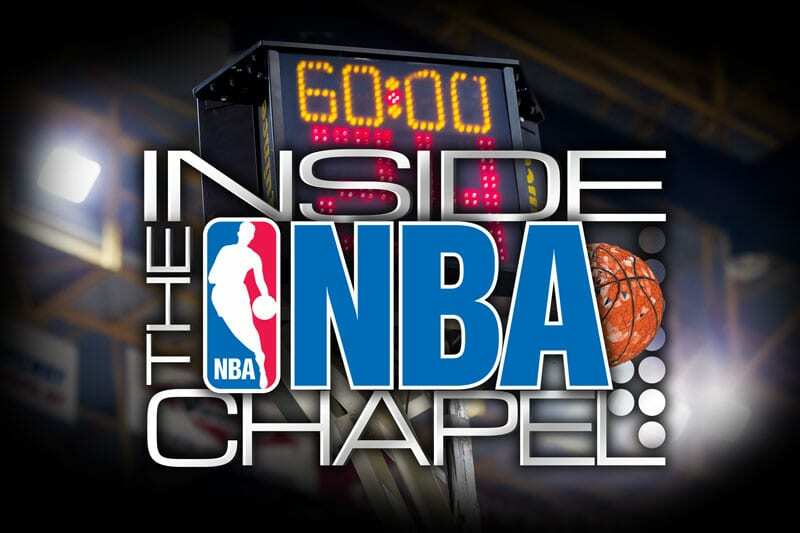 The pregame NBA chapel is estimated to have been around nearly 40 years. It takes place at the same time before every contest in every arena, no matter the stakes of the game. Players know: If they can’t go to a local church because they’re traveling or playing or usually not left alone in public, they can always go 60 minutes before a game. Chapels — typically defined as places of worship serving an institution — certainly aren’t unique to basketball. The NFL, MLB and NHL have similar ministries. But there’s one key difference: NBA chapels are open to both teams. The other leagues host their services on a per-team basis. Multiple games are played each week, so chaplains — often local pastors chosen by the organization — don’t go out on the road with the team. But considering NBA squads are significantly smaller than in other sports, one chaplain teaching two teams is manageable. Even team staffers are welcome. Designated chapel time is when the event clock strikes 60:00. There’s a countdown to tip-off displayed in locker rooms and on the clocks surrounding the court; it starts at 90 minutes. So whether a player is in the locker room dressing or relaxing, or on the court stretching or shooting, he knows how much time he has until tip-off. At exactly 60 minutes, chapel can commence. The meeting place is typically a vacant locker room or spare dressing room. When at home, a player knows where to go. But for the visitors, locker room assistants will post signs or simply tell players where they can meet. Regular chapel-goers who have been in the league long enough know where the meeting rooms are even on the road. The chaplains then lead a 15-minute service however they see fit. Some open with worship music, some don’t. Some preach a message for 15 minutes, some just chat with the guys. It depends on who’s in the room. “If it’s just your team, the time may be [spent] different because you’re doing a check-in. You may be laughing and joking about something that took place that they’re telling you about. If it’s both teams together, you try to be consistent and aware of the time because the visiting players have to be in their locker room by a certain period. … You try to get finished in a time that if anyone wants to see you individually, you still have enough time to walk down to the court talking to them or maybe you sit down and pray with them separately after guys leave,” Smith says. “When it hits 45, that’s when we have to say, ‘Amen,’” Birch says. Most chaplains pass out “chapel notes,” an outline or handout similar to what you might receive walking into a church. Some are simply an outline, and only those hearing the accompanying message can fill it out. But many chaplains have found that this material is also easy to hand out to arena workers — ushers, support personnel, even police officers. So the handouts are a little more detailed, including scriptures and main points. For Birch, “it holds together so it’s a lesson that you can appreciate and understand as a standalone leave-behind.” He’s built a rapport with the team that allows him to place the notes on every chair in the Cavs’ locker room, opening the possibility for a player who didn’t attend chapel to receive the message or ask Birch more about it. Smith and an assistant print out more than 100 pamphlets per game and hand them out until they’re gone. And most chaplains do have assistants. Because they’re often full-time pastors and not team employees, they’re not able to make every game. But between the lead chaplain and an assistant or two, they make sure every game is covered. Not just anyone gets to be an assistant, though. “[One] thing about being a chaplain is that you have to know your place,” Birch says. “It’s very difficult to establish relationships with sports stars and professionals anyway; they are naturally guarded. And they should be. I’m very, very careful. I’ve had four associate chaplains over my [18-year] tenure and God sent each one of them to me; they were handpicked by God. Jerry and Gail Birch (photo courtesy of Jerry Birch). Like anyone, players yearn for genuine relationships, and often aren’t comfortable opening up to someone they don’t know. Chaplains try their best to establish trust and show they’re running a legitimate ministry. But sometimes, the best way to influence a team can be through the players who do attend chapel. If the chaplains can equip the few who attend, those guys can then go out and reach their teammates. Ultimately, a chaplain aims to be available in any way he can for his players. Lunches, coffee, individual counseling, couples counseling, weddings, baby dedications, etc. And it starts with chapel — with the opponent. In his 30 years of chaplaincy, Smith says he’s never noticed any tension between the opposing teams. “You may be competitive, yet at the same time you have a commonality, and that commonality is your need to have a place for your faith,” he says. Of course, not all NBA Christians attend chapel. It may not fit into their pregame routine, or they’d rather relax and reflect on their own. But for many others, it’s as much a part of their game night as warming up. If they forget, or their stretching and shooting goes long, they’ll sprint off the court to make it in time. Birch sees young men “running to church” almost every game. “They’re coming because they desperately know they need things that money can’t buy,” he says. “Because they can buy anything they want, but they need wisdom. They need perspective. They need hope. They need strength. They need the truth. They need encouragement. “They want to draw closer to God because they know that’s more important than the 20,000 people who paid hundreds of dollars to watch them perform.